IT’S THE OFFICE YOU KNOW, PLUS TOOLS TO HELP YOU WORK BETTER TOGETHER, SO YOU CAN GET MORE DONE – ANYTIME, ANYWHERE. Let your business grow by empowering the best cloud productivity tools! Enhance Systems can help you every step of the way, and keep on helping by managing your 365 environment. eBackup, our powerful backup software keeps your data safe, offering multiple backup locations – locally and in the cloud. We fully monitor all backup jobs to ensure your data is protected and 100% recoverable. Enhance Systems also provide Disaster Recovery solutions of both data and hardware ensuring you are up-and-running should the worst happen. 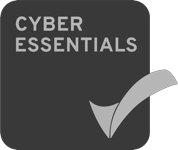 IT IS ESSENTIAL YOU HAVE THE PROPER CYBER SECURITY FOR YOUR BUSINESS – FIREWALL, ANTIVIRUS, POLICIES, AUTHENTICATION. Enhance Systems can provide you with a dedicated cloud hosted server to help reduce your in-house server costs for a particular application (e.g. Sage), or maybe for a web application you need hosted on the internet. Our Servers are hosted in a Data Centre located in Northern Ireland, which has been built to the highest tier 3 standards; 24 hour security to BIL3 standards, multiple power sources with UPS and redundant generators, next-gen fire suppression and fully redundant cooling. All hardware in our server racks are enterprise grade, Palo Alto Firewalls, Cisco Routers and Hewlett Packard Enterprise Servers. Enhance Systems can supply your business with all your computer hardware requirements. We can plan, design and implement your hardware and network requirements, while ensuring you get the best value without compromising performance.